Most of us in the industry are (at least should be) very familiar with Customer Experience Day (CX Day). CX Day is sponsored by the Customer Experience Professionals Association which is a global non-profit organization dedicated to “the advancement and cultivation of the Customer Experience profession”. Carbon60 is a proud participant in CX Day activities which we officially kicked off in 2016. Check out our Blog post on this. 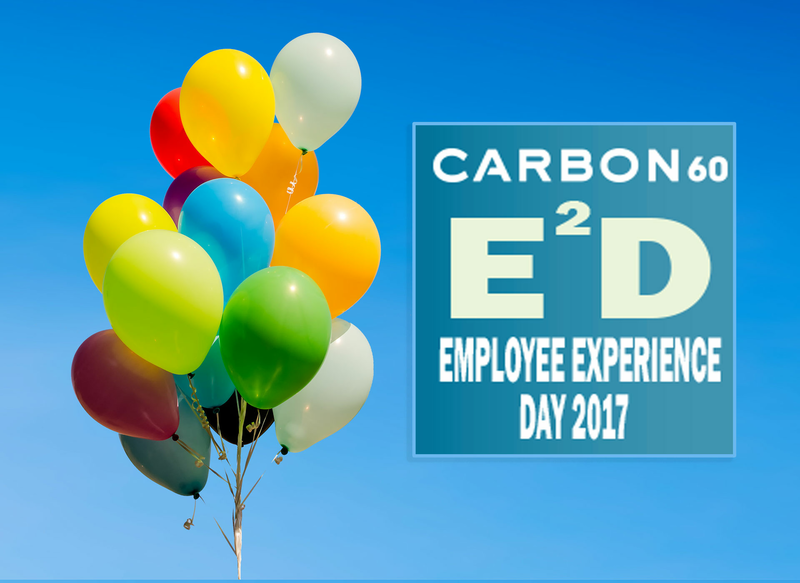 This year, Carbon60 is launching our first ever Employee Experience Day (E2D) today where we celebrate our awesome team who make it their top priority to delight our customers with every interaction. We have been preparing for this day for several months and today’s activities included launching action plans based on our Internal NPS® results. Internal NPS® is our annual employee survey where we ask, among other things, what we do really well and what we can improve on. One of the action plans includes an exciting contest involving a trip to Las Vegas for the annual AWS re:Invent conference. Team members that achieve technical AWS certifications in the coming months have a chance to win a trip to re:Invent for some fun and learning. As Carbon60 formally expands our Managed AWS Cloud services to our portfolio, it’s our team that will drive customer success. We also had a great lunch to kick off the BBQ season, along with some fancy new personalized coffee mugs (courtesy of our great customer Comda). We hereby proclaim the second Friday in June as Employee Experience Day dedicated to valuable customer service professionals and invite other companies to join us in time for next year’s celebration!